I used a GORGEOUS Cymbidium Orchid (totally worth every penny by the way), pink and canteloupe Proteas on a luscious bed of Bells of Ireland, Ruscus, Coin Flower, & Bear Grass! 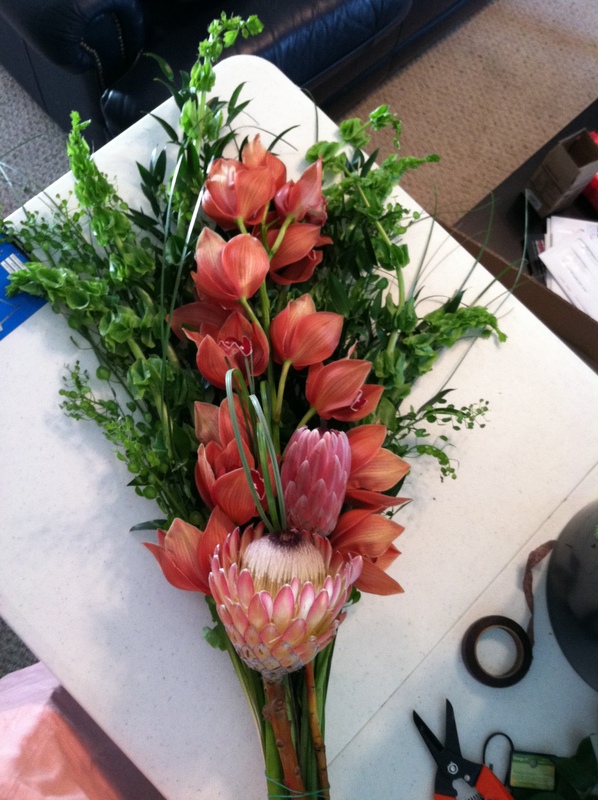 I shoulda made two of these bouquets and kept one for myself…. but, I always think that after I finish an order that I LOVE!